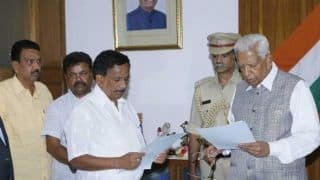 Karnataka Legislative Assembly election 2018 will be held on May 12. 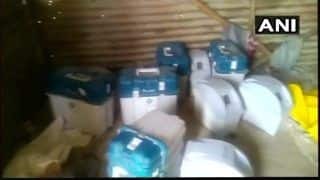 The Karnataka Assembly elections results will be declared on May 15 after the counting of votes on the same date. The early trends may emerge after 10 am as electronic voting machines will be used and the entire process of voting counting will be faster than the ballot. 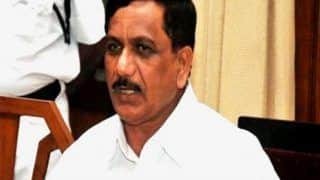 The 225-seat Karnataka Assembly will see voting on 224 seats as one seat gets the nominated member from Anglo-Indian community. 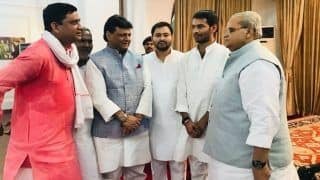 The Congress-led state has been witnessing the triangular contest among Indian National Congress, Bharatiya Janata Party and Janata Dal (S). 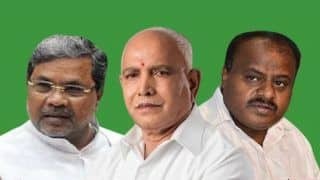 The Congress campaign is headed by its chief minister Siddaramaiah, the BJP has former chief minister B. S. Yeddyurappa as its prominent face and H. D. Kumaraswamy is leading the charge for its JD (S). The 14th assembly elections in Karnataka were held in May 2013 and the Congress Party had won 122 seats out of 223 that went to poll. 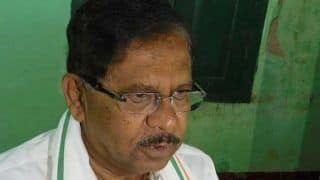 Current chief minister Siddaramaiah is credited with winning 9 more seats than the magic mark of 133 for the Congress. 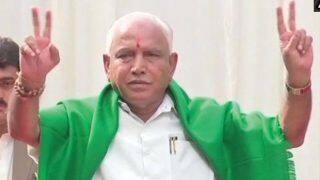 In 2008 Karnataka Assembly elections, the BJP under BS B. S. Yeddyurappa had won 110 seats and formed the government. 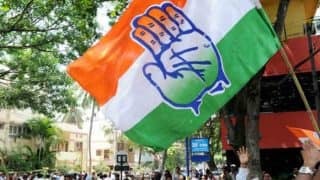 The BJP is banking on anti-incumbency factor while Congress is pitching its rule as the best ever for Karnataka. 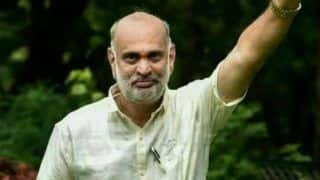 The JD(S) may emerge as the third biggest party who may become the kingmaker in case of a hung assembly. 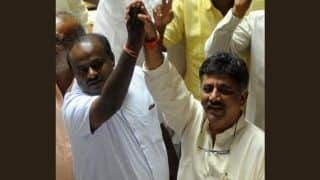 Ahead of the Lok Sabha elections 2019, winning Karnataka for both the Congress and the BJP is crucial as the Southern state sends 28 Lok Sabha members to the Parliament. 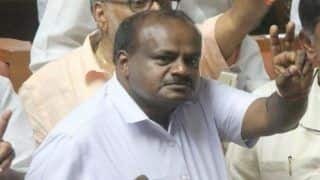 If the Congress retains Karnataka, Rahul Gandhi will get a popular approval of his tenure as its president and a loss would again give a handle to the BJP to mock Rahul. 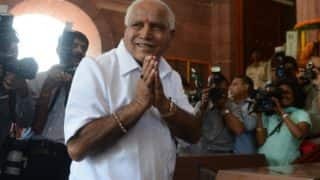 The BJP is pinning its hope on the return of Yeddyurappa to its fold as the powerful Lingayat leader has some huge following in his community. 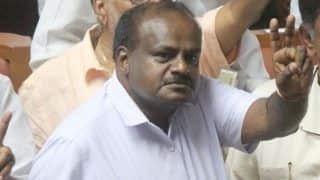 However, Siddaramaiah has been campaigning over his achievements in last five years. 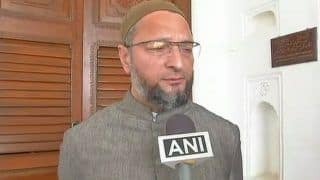 The pre-poll survey conducted by C-Fore had predicted that the party will increase its tally to 126 in the 224-member Assembly. The BJP is likely to win 70 seats this year as compared to 40 in 2013, whereas the JD(S) tally will go down from 40 to 27, said the survey. 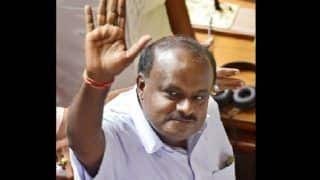 Given the tenacity of BJP president Amit Shah, retaining Karnataka will not be an easy game for the Congress and if anti-incumbency factor works, the BJP may form the government which will benefit the party in Lok Sabha elections to be held within a year from now. 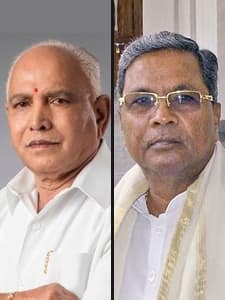 The out of Karnataka Assembly elections 2018 will greatly impact Lok Sabha elections 2019 for both the Congress and the BJP. 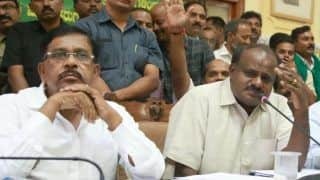 The second win in a row will surely elevate the stature of Siddaramaiah within the Congress Party with a major say in ticket distribution for the upcoming general elections. 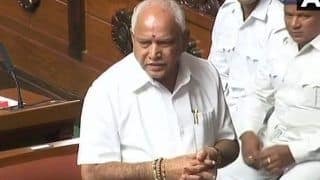 If the BJP forms the government, former chief minister Yeddyurappa will rise within the party. 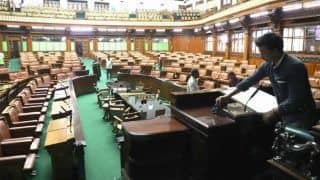 Karnataka Assembly Floor Test: Who Has The Numbers - BJP or Congress-JDS? What Can Happen Today?